NASA is getting to ready to launch the most advanced laser instrument of its kind into space next month beginning a mission to measure – in unprecedented detail – changes in the heights of Earth’s polar ice. Hundreds of billions of tons of polar ice melt or flow into the oceans annually, contributing to sea level rise worldwide. In recent years, contributions of melt from the polar ice sheets of Greenland and Antarctica alone have raised global sea level by more than a millimeter a year, accounting for approximately one-third of observed sea level rise, and the rate is increasing. ICESat-2 data documenting the ongoing height change of ice sheets will help researchers narrow the range of uncertainty in forecasts of future sea level rise and connect the changes to climate drivers. ICESat-2 also will make the most precise polar-wide measurements to date of sea ice freeboard – the height of sea ice above the adjacent sea surface. The measurement is used to determine the thickness and volume of sea ice. Satellites routinely measure the area covered by sea ice and have observed an Arctic sea ice area decline of about 40 percent since 1980, but precise, region-wide sea ice thickness measurements will improve the understanding of the drivers of sea ice retreat and loss. Although floating sea ice doesn’t change sea level when it melts, its loss has different consequences. The bright Arctic ice cap reflects the Sun’s heat back into space – when that ice melts away, the dark water below absorbs that heat. This alters wind and ocean circulation patterns, potentially affecting Earth’s global weather and climate. 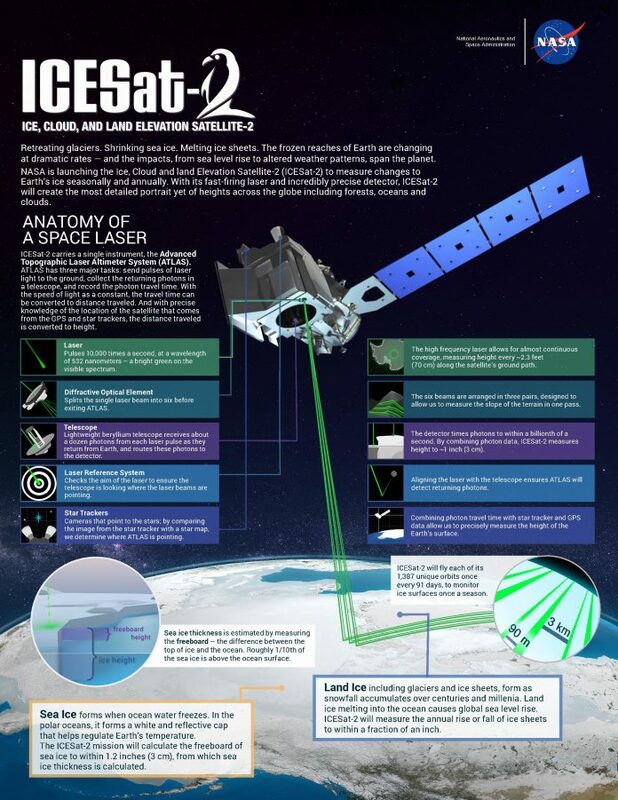 NASA’s Ice, Cloud and land Elevation Satellite-2 (ICESat-2) will measure height with a laser instrument that features components designed to provide precise data. With so many photons returning from multiple beams, ICESat-2 will get a much more detailed view of the ice surface than its predecessor, ICESat. As it circles Earth from pole to pole, ICESat-2 will measure ice heights along the same path in the polar regions four times a year, providing seasonal and annual monitoring of polar ice elevation changes. 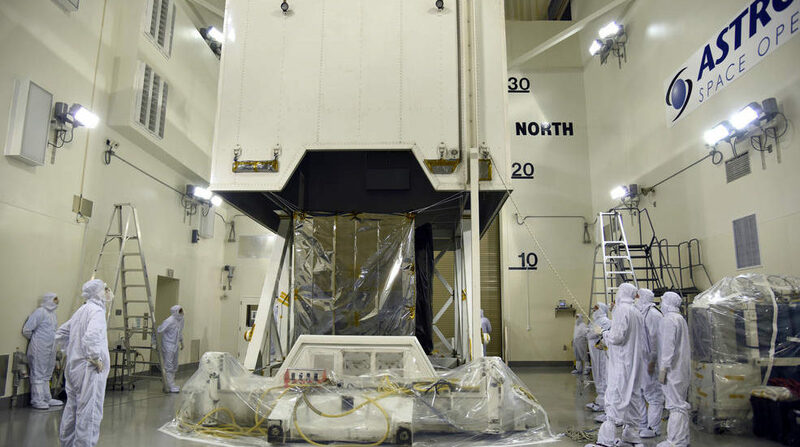 ICESat-2 is scheduled to launch Sept. 15 from Vandenberg Air Force Base in California.